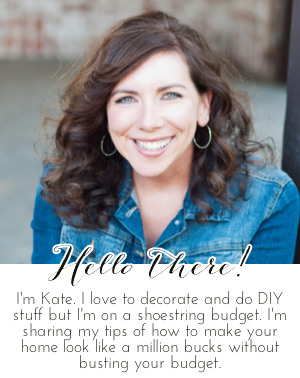 Chic on a Shoestring Decorating: Flaunt it Friday 104! Hey party peeps! Once again it's time to flaunt it!! Thank you so much for hosting another amazing blog party! Thanks for hosting! This is my first! Hi, Katie. Thanks for hosting. I linked up my Disney Vacation Countdown. Thanks so much for hosting. I hope you have a great holiday weekend! Thank for hosting this each week! I found some great projects! Some of my faves are the lego tray, the paint chip art and DIY fit to size rug! I linked up the closet office space. Have a great weekend! Thanks for hosting, and for letting me share. It is always a great party! Thank you for hosting Kate! Have a great weekend!! Thank you for Hosting! Another great week filled with inspiration! !